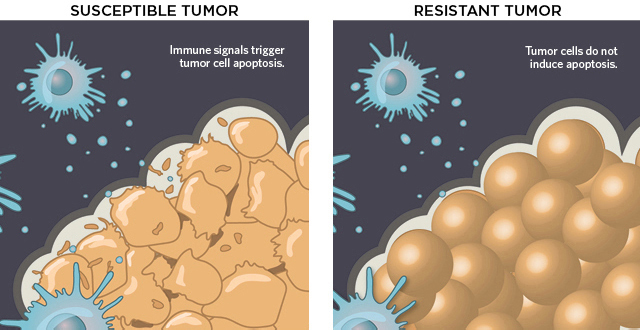 Cancers appear to be able to evolve resistance to many of the therapies doctors have tried. 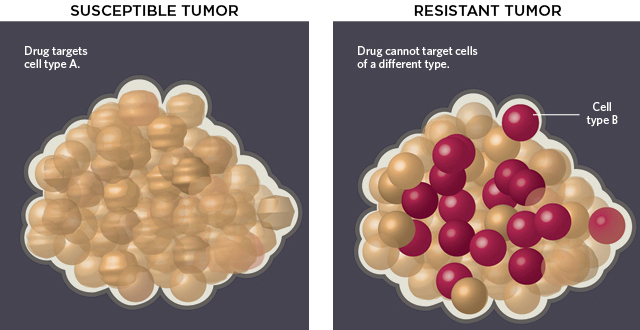 Cancer cells can evolve ways to evade a drug’s attack, or they may already be resistant prior to treatment. 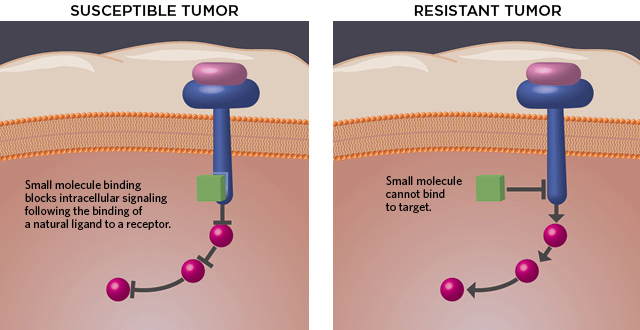 Resistance to chemotherapy likely encompasses a broad range of mechanisms having to do with DNA repair, cell cycle arrest, apoptotic pathways, and others, many of which are still unknown. 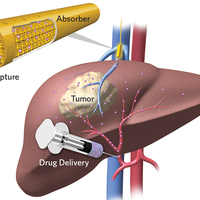 When it comes to molecular-targeted agents and immunotherapies, however, research has nailed down some basic strategies. 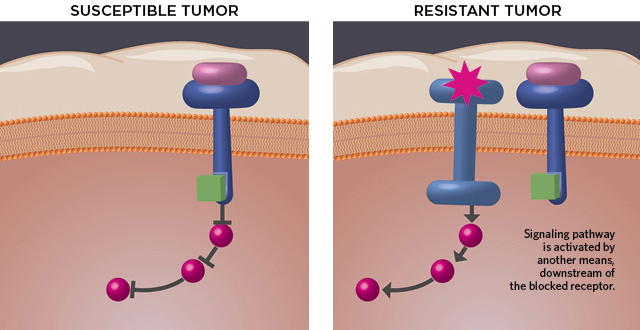 Mutations within the target protein can prevent drug binding, or keep the protein active despite drug binding. 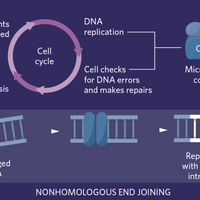 Mutations can restore cellular signaling by affecting a downstream gene or by activating a bypass pathway. 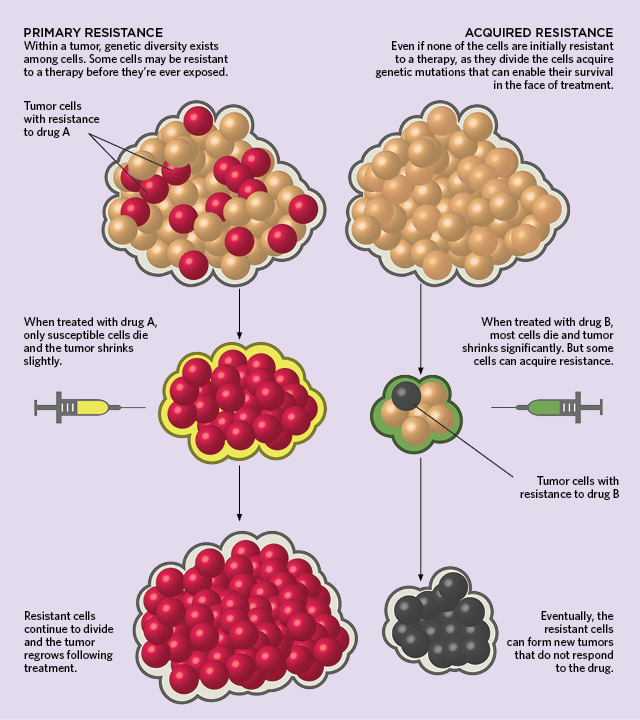 Tumor cells can lose characteristics of their typical cell type and acquire characteristics of a different lineage that does not depend on signaling blocked by the cancer drug. 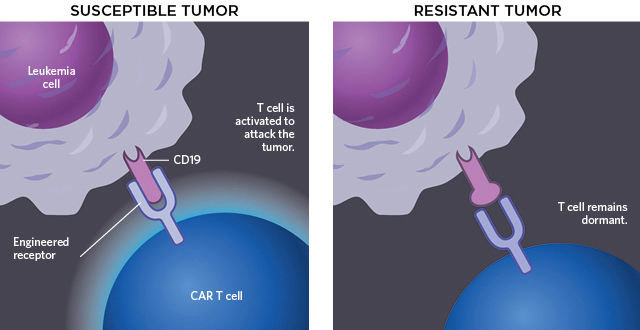 Mutations can render tumor cells less recognizable to the immune system or less responsive to molecular signals from immune cells. 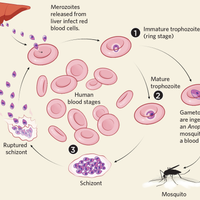 Mutations and other changes alter the target protein. 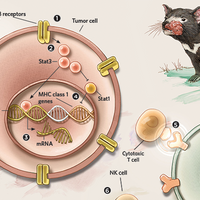 These can include altered splicing of the tumor target, which blocks recognition by the engineered T cell.